The Sun Climbs Slow: The International Criminal Court and the Struggle for Justice was first on The Globe and Mail's “best book of the year” list and shortlisted for the Shaughnessy Cohen Prize for Political Writing. Her most recent book is From Tolerance to Tyranny: A Cautionary Tale from Fifteenth-Century Spain. Erna is a member of the Honorary Council of the Canadian Centre for International Justice; a member of the Canada Committee of Human Rights Watch; an executive member of the World Federalist Movement-Canada; a vice-president of the Canadian Civil Liberties Association; and a past chair of the Writers' Union of Canada. 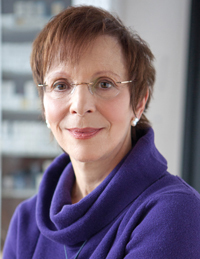 Erna is a frequent contributor to the opinion page of the Globe and Mail. In 2012, she was awarded the World Federalist Movement – Canada World Peace Award. 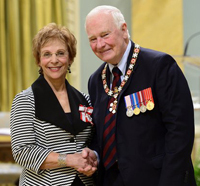 In 2015 she was appointed to the Order of Canada. Last week, Germany memorialized the 80th anniversary of Kristallnacht – “the night of broken glass” – during which 1,400 synagogues and innumerable Jewish businesses throughout the country were vandalized. There were dozens of killings on that day, Nov. 9, 1938. At least 30,000 Jewish men were arrested and sent to concentration camps. A United Nations fact-finding mission on the anguish of the Rohingya minority in Myanmar has put the world on notice. By naming six alleged perpetrators, including the army commander-in chief, and by using the term “intent to commit genocide,” three independent commissioners have effectively challenged the international community to uphold criminal accountability and the rule of global law at a time when respect for the postwar legal order is weakening. Will Gina Haspel, Trump’s nominee to head the CIA, be rewarded for torture?